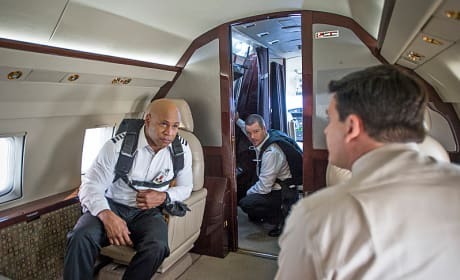 The NCIS: Los Angeles team takes to the air in this photo. It's from the episode "Iron Curtain Rising." 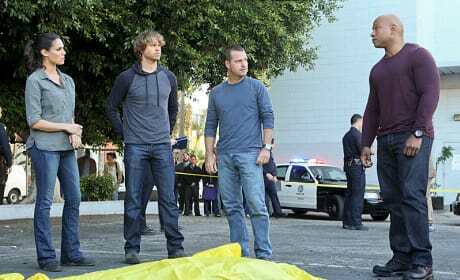 The team must hunt down a war criminal before he disappears on NCIS: Los Angeles. 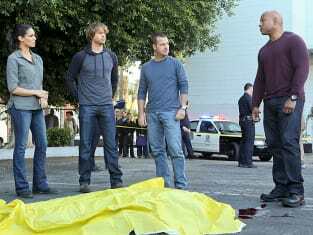 "Iron Curtain Rising" is the 11th episode of the show's fifth season.